Every month, we volunteer our time to help a shelter animal find their forever home. 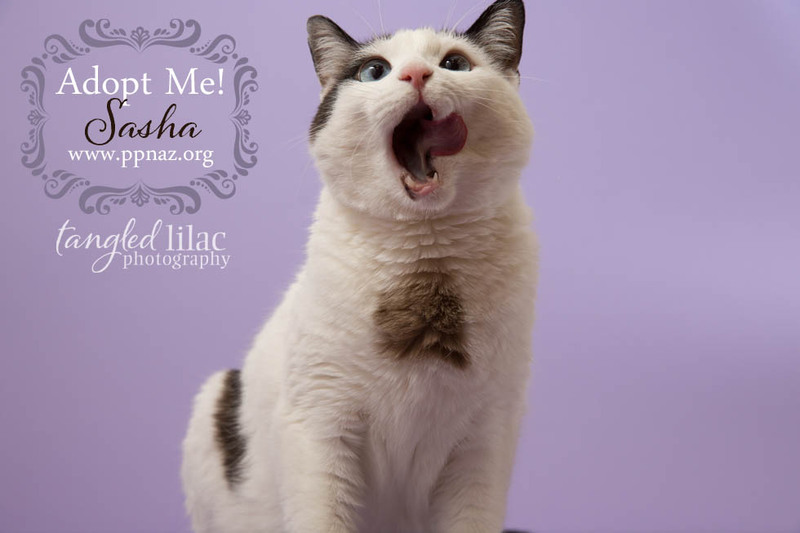 This month, we headed over to Paw Placement of Northern Arizona‘s adoption center, Rescue Me, to take photos of a special kitty named Sasha. Rescue Me is located in the Flagstaff Mall. If you live in the area, and have never visited this store, you should head over soon. It’s a great place to meet potential four-legged future family members, or just to check out what’s happening in the world of animal rescue. Paw Placement of Northern Arizona is a great organization, who’s mission is to reduce euthanasia rates of homeless cats and dogs through rescue, adoption and education about responsible pet guardianship. They rescue animals and place them in foster homes to help them find their forever home. 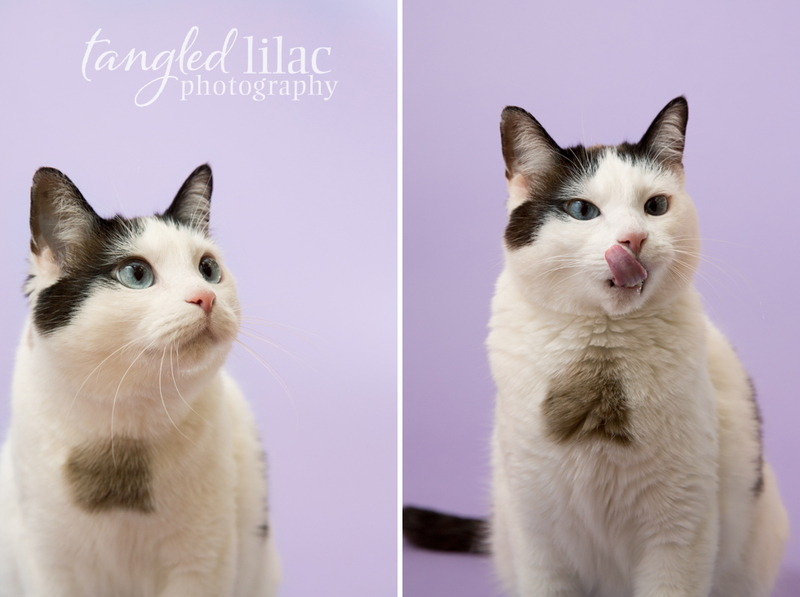 Sasha is our first kitty we’ve ever photographed for our Adorable Adoptable program and she really set the bar for sweetness. She didn’t mind us photographing her at all, in fact, I’d argue that she enjoyed the attention! She is a short haired Siamese and Calico harlequin cat about 3 1/2 years old. The rescue said she is very smart and loves to play games at home. She’s extremely affectionate and loved spending time with us. 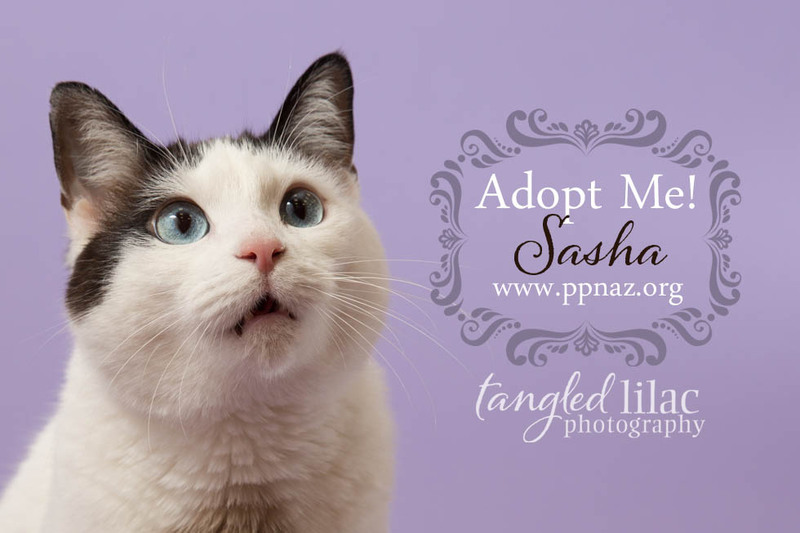 If you or someone you know might be interested in Sasha, please contact Paw Placement of Northern Arizona to get more information about adoption.